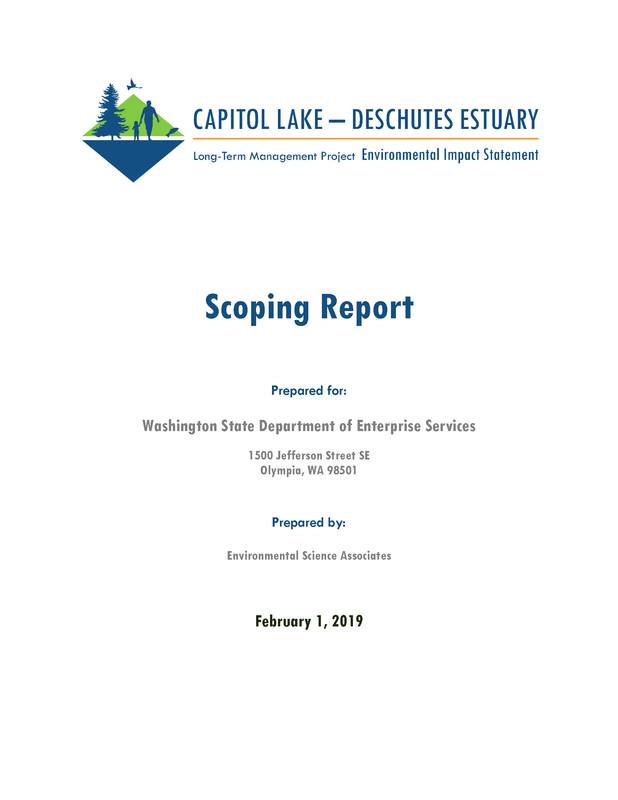 This page provides links to publicly available documents related to the Capitol Lake – Deschutes Estuary Long-Term Management Project Environmental Impact Statement (EIS) process. As new documents become available, they will be posted here. Can’t find the document you’re looking for? Please contact us. Historical documents related to the project can be found on the Department of Enterprise Services website .